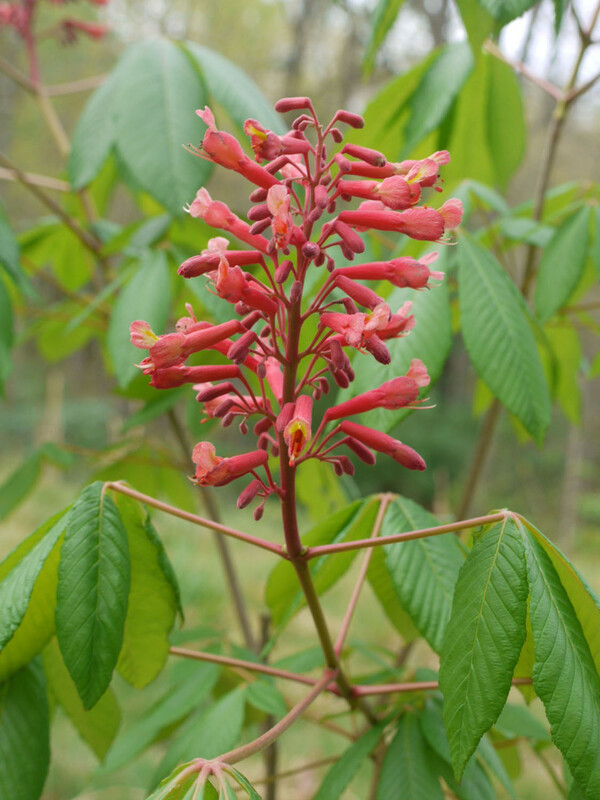 The Red buckeye (Aesculus pavia) tree blooms early in the spring. 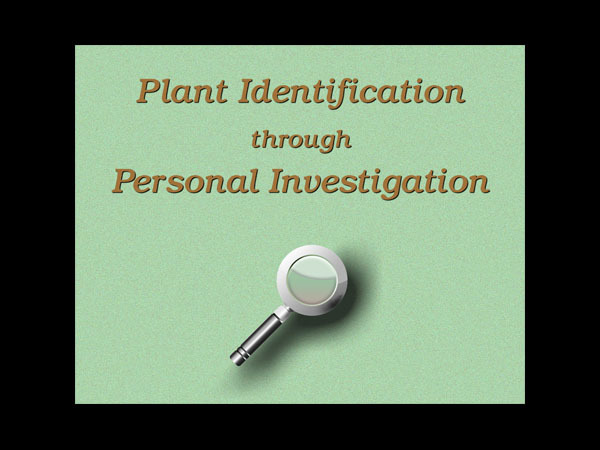 Its bright red flowers — contrasted with the fresh green leaves — delight both people and hummingbirds. Flowers grow at the tips of branches. The flowers bloom from the bottom of the inflorescence toward the top. Successfully fertilized flowers result in fuzzy swollen ovaries. Most seed capsules develop within the bottom half of the inflorescence. 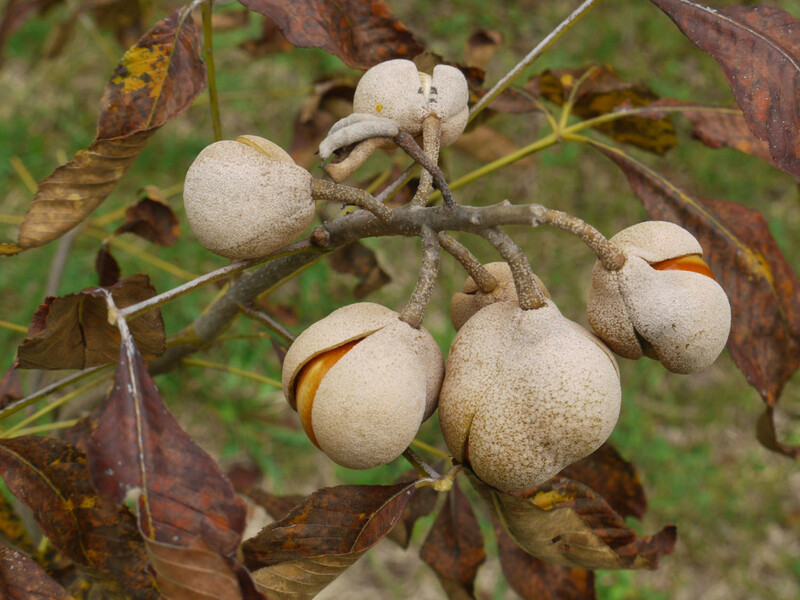 By late summer the seeds have matured within their large seed capsules. Leaves also are dying and dropping from the tree. 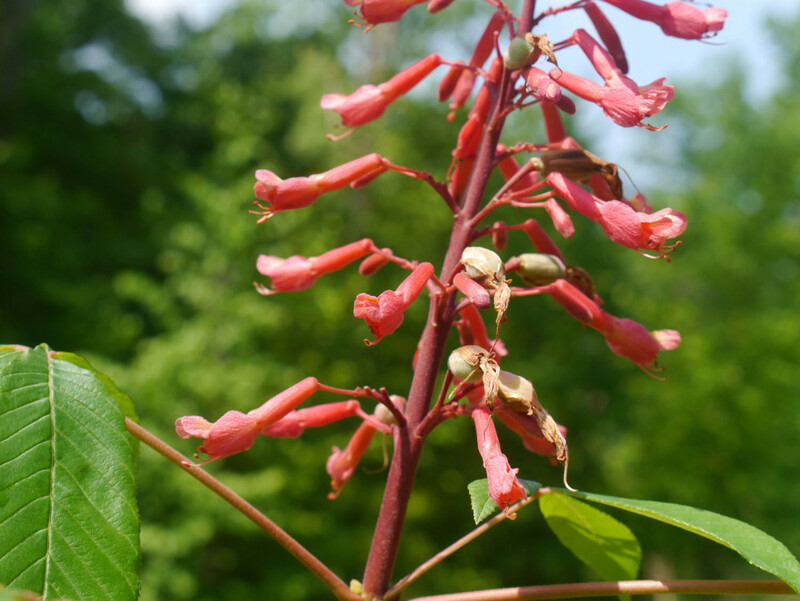 Red buckeye is not a beautiful tree during the fall season. However, it makes up for that deficiency with its stunning spring blossoms. 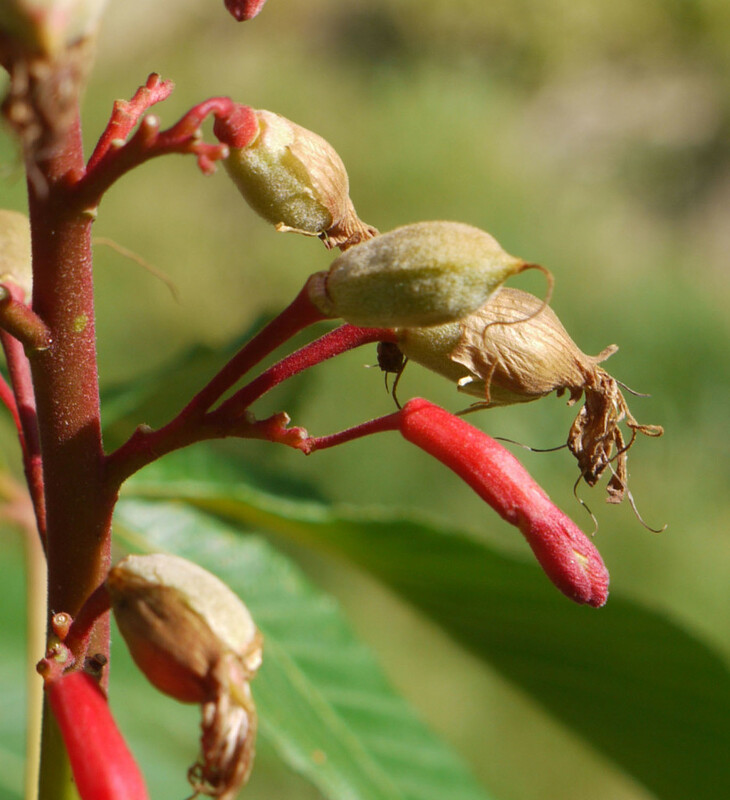 Watch this video about Red buckeye (Aesculus pavia) to see the large leaf and flower buds, the palmately compound leaf and the lovely “buckeyes” (seeds).